On April 20, 2010, the Deepwater Horizon oil platform operated by BP, was disconnecting from a recently discovered oil reservoir 50 miles south of Louisiana when a cascade of equipment malfunctions caused a high-pressure explosion, killing 11 rig workers. For two days the rig burned then sank. As response crews worked to extinguish surface fires, oil and gas from the broken drill pipe was spewing a mile deep in the Gulf of Mexico. This underwater geyser of oil and gas lasted 87 days as remotely operated vehicles tried several methods to stop the flow. Success eventually came with a "top-kill" effort in August, but not before nearly 210 million gallons of oil and almost 2 million gallons of dispersants contaminated the Gulf of Mexico. Shortly following the capping of the wellhead, breaking news of the spill's events stopped as the national attention moved onto other headlines. This media vacuum is common following environmental disasters (Fukushima, Zika virus, the Exxon Valdez oil spill) as a crisis is considered "over" once news headlines turn elsewhere. But this mindset ignores the efforts of dedicated individuals looking for solutions to the causes, and consequences of such disasters years after they occur. In the case of the Deepwater Horizon oil spill – which is remembered eight years ago this week – scores of USF researchers and students have dedicated their studies to the causes and environmental consequences of marine oil blowouts so that society is more prepared in the event of the next mega spill, even without national media attention. The University of South Florida and the Florida Institute of Oceanography took emergency action in the weeks following the 2010 spill, dispatching researchers to areas of the Gulf not yet touched by the millions of gallons of spilled oil. USF collected samples of nearly everything: water, sediment cores from the seafloor, fish bile, liver, as well as muscle and plankton samples. These samples were used as evidence during litigation against BP, resulting in the energy giant paying $18.7 billion to federal, state, county and municipal governments in 2015 as penalties for the spill; including $1 billion for Tampa Bay governments. These were the last of BP's connected payments to the spill. Their first occurred In May 2010 when BP volunteered $500 million dedicated to establishing a 10-year research program. These funds were distributed through the Gulf of Mexico Research Initiative (GoMRI) which independently funds peer-reviewed proposals from research consortia and projects, including the C-IMAGE consortium (the Center for Integrated Modeling and Analysis of Gulf Ecosystems) hosted at the USF-College of Marine Science (CMS) in St. Petersburg, FL. Establishing GoMRI brought a different focus to the aftermath of a major environmental disaster by continuing significant funding to understand what was learned from the blowout to improve recovery, response and restoration, not if, but when the next spill occurs. 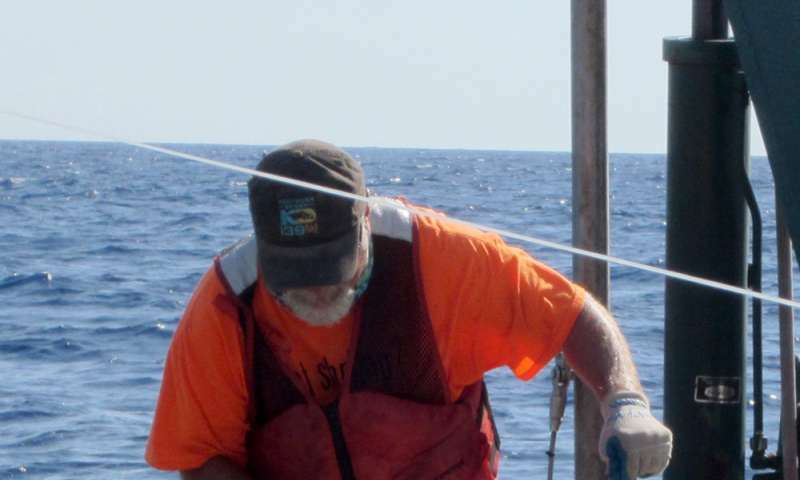 Beginning in 2011, C-IMAGE and USF have facilitated the research of over 200 international marine biologists, chemists, engineers and computer modelers to understand the effects of oil spills throughout marine environments, the effects of dispersants and recovery across the Gulf of Mexico. Directing the C-IMAGE consortium is Steven Murawski, PhD, a professor at the USF-College of Marine Science, who knows how unique a decade of funding is for marine scientists. "This is rare," said Murawski. "Having a dedicated $500 million to long-term scientific research doesn't happen every day, or in this case, every decade. The opportunities GoMRI provides allows science to expand naturally – we find something new with oil spills, we explore its causes, impacts and how it might happen again." For example, during the emergency research cruises weeks following the spill, seafloor sediments had traces of oil in them. 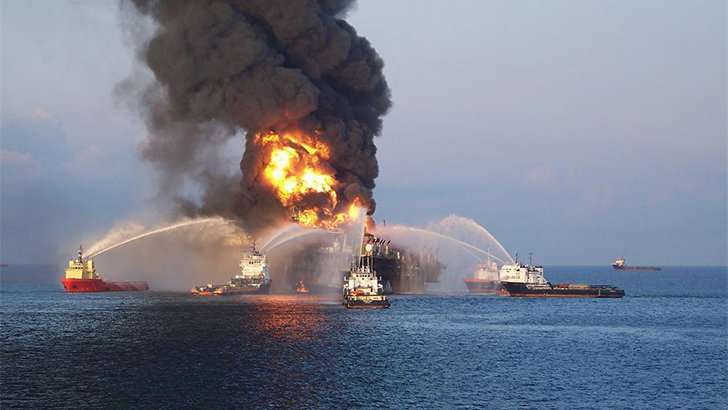 Chemical analysis showed that some of this oil included dispersants and burned oil from the surface that sank along with dying plankton to the seafloor. This previously unknown phenomenon, known as marine oiled snow, is now accepted as a considerable component to the fate of oil during marine oil blowouts. Future research within C-IMAGE will use computer models to predict the occurrence and intensity of marine oiled snow and what impacts it may have on the seafloor. Of the $500 million, USF-CMS received $36 million since 2011 to direct the research of USF and 18 other universities and research agencies each exploring the causes and impacts of the Deepwater Horizon oil spill. C-IMAGE collaborates locally with Eckerd College and Mote Marine Laboratory, and internationally with the Technical University of Hamburg-Harburg, Germany, and the Universidad Nacional Autónoma de México, to name a few. "The strength of our research is our partners and collaborators," said Murawski. "Looking at a problem through several perspectives – biologists, engineers, aquaculturists – helps us ask what our next questions should be and what's important to different fields." 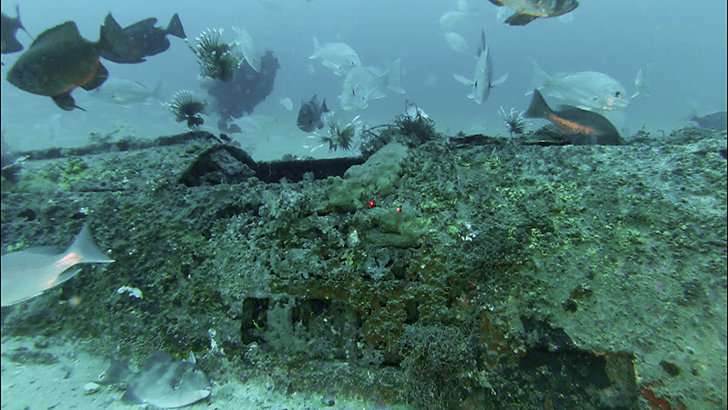 Through the work of C-IMAGE, a 7-year timeline of the northern Gulf recovery was continued, a Gulf-wide baseline of seafloor and fish health from U.S., Mexican and Cuban waters was completed, and Germany's only high-pressure experimental facility – studying the effects of dispersants and biodegradation – was developed. Recently, collaboration between the USF College of Marine Science and the University of Miami predict a missing generation of fish in the Gulf of Mexico, nearly ten years following the spill. Predictive tools like these oil spill and ecosystem models are the emphasis as C-IMAGE reaches the end of its 10-year plan in 2020. "Giving first-responders a better understanding of where oil is heading, or what the ecosystem damage might be is our goal," said Murawski. "If we don't give the responders who fight the fires or protect the beaches and marshes something to work with, we'd ask ourselves what we really learned in 10-years of research. We will also summarize our scientific findings in a two-volume book series to be published in 2019." GoMRI distributed the last of its funds in fall of 2017. USF and C-IMAGE is one of only four universities to complete a full ten-year research program (University of Miami, University of Texas at Austin, and Louisiana Universities Marine Consortium). Even with the Deepwater Horizon disaster as a memory for some, USF continues to engage international partners to improve societal understanding of major oil spills. More information: To learn more about the continued research after the 2010 oil spill visit marine.usf.edu/c-image,gulfresearchinitiative.org, and beneaththehorizon.org.